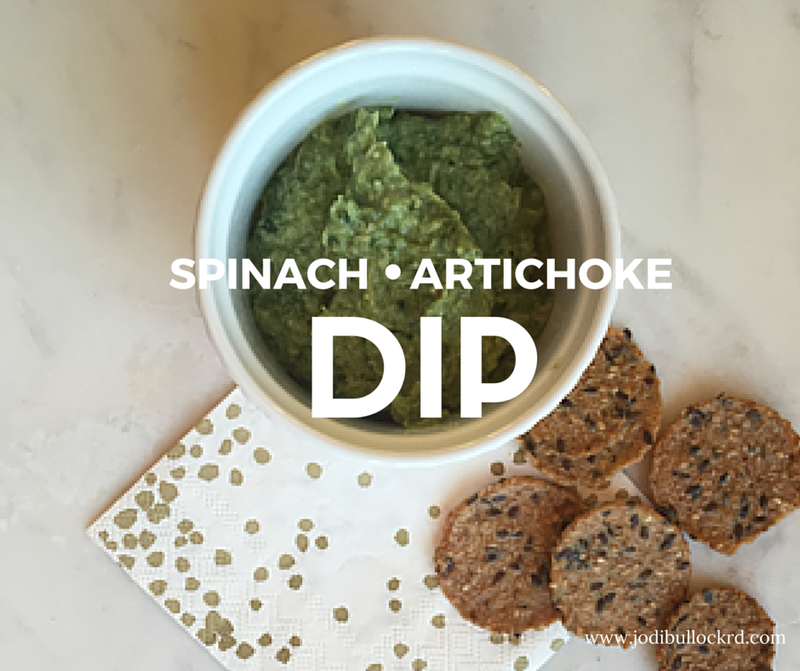 Who knew I would be making the classic spinach artichoke dip? Well - I'm not :) Dips typically are not the healthiest of all appetizers on the table, but this week as part of the live cooking demo I was a part of, I needed more than one idea for healthy appetizer ideas. This is something that is always always around at parties or gatherings so I thought, well, I can make anything in a healthier way - even this! Take the name of the recipe to start: spinach and artichokes, both very cool vegetables that I like separately so why not blended up? If you follow me you know I cook dairy free, gluten free, mainly plant based. Typically I've found that the simpler the recipes the better. So here's how I created this healthy, plant-based dip that was a hit for my group and I ate all the leftovers when I got home! That's it - that's all. Pure, clean whole foods, very very flavorful and ready to serve. You can serve this with more veggies, or with one of my favorites, Mary's Vegan Gone Crackers. I also used some leftovers to spread on a grilled chicken breast. This could also be used as a spread in a wrap. What's your favorite dip? Comment below if you want me to do a recipe makeover!